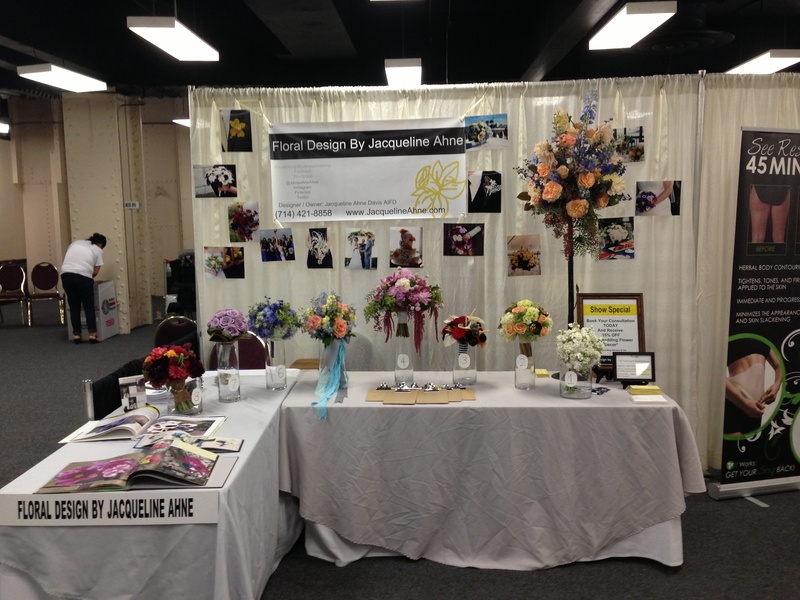 We spent Sunday at the Queen Mary Bridal Show by the Bridal Showplace. So of course we talked flowers all day which I always have a blast doing! We met MANY awesome couple and discussed some really unique and fun color themes! One that I really liked was burnt orange, cream and gray…. Granted I have always loved gray but it feels so fresh and modern with the burnt orange and cream! We did host the “vote for your favorite bridal bouquet” contest again and the results were pretty close! We always try to guess which bouquet is going to be the favorite and usually we are pretty close but this time I was surprised which bouquet was the winner! The one I thought would be the winner came in a close second place…. This time I designed 8 bouquets that we encouraged Brides and their families to vote on. 63% of the votes were from brides and we had 4 grooms participate. The winning bouquet was #8 which was created from fall colors and include three shades of dahlias, two shades of cox comb, scabiosa, button mums and was finished off with burlap and a vintage bracelet. The runner-up was #2 created from white and mini green hydrangea, peach roses and metallic succulent. My personal favorite was #3 which was more of a nautical theme created from anthiriums, scabiosa, delphinium, thistle and dahlias. SO…. 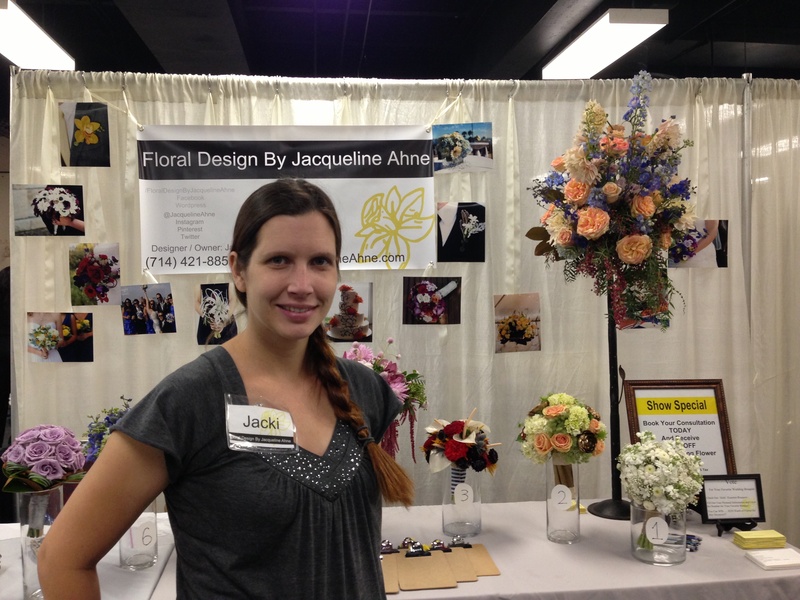 Now to announce the contest winner….. Winning a $250 for flowers for ANY occasion is Cristina C. getting married on May 10th 2014! She voted for bouquet number 8. 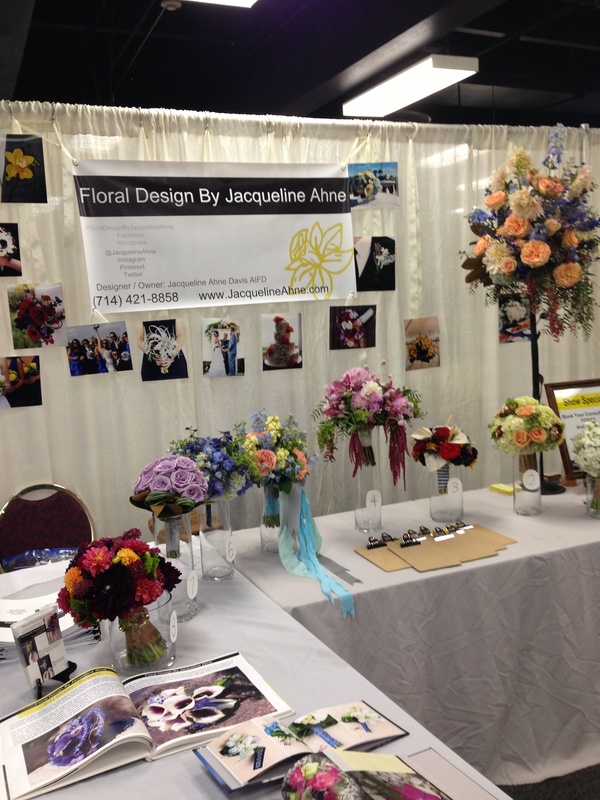 This year we have been working with Something Turquoise (www.SomethingTurquoise.com) to bring “bouquet blueprints”. 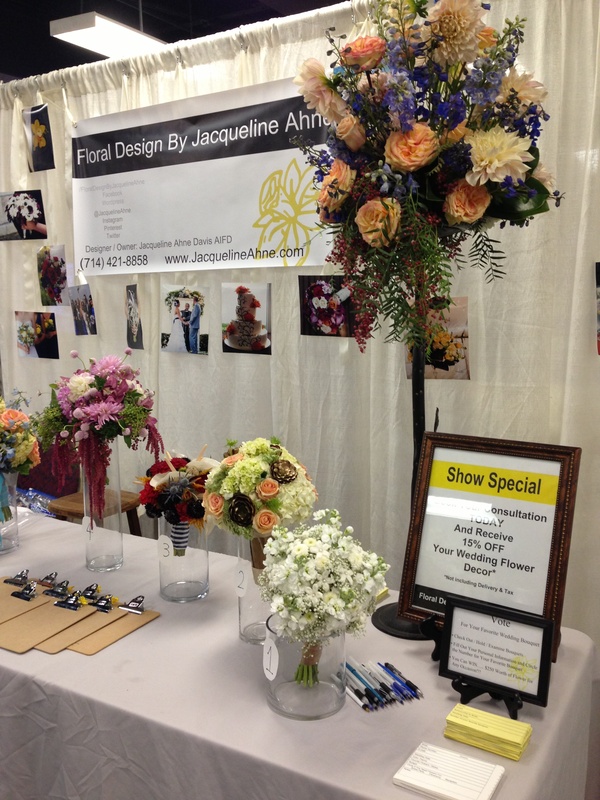 Each of the bouquets that were at the bridal show will be featured on the site with matching boutonnieres, information on availability and care as well as the recipe. It is definitely a fun project and I am glad Jen selected me to be part of it!